Be part of your child’s memories instead of the person stuck in the kitchen! 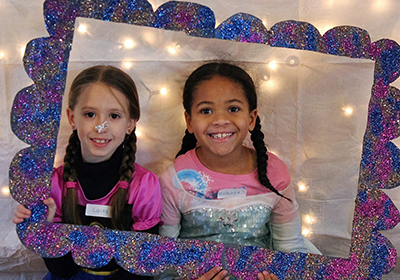 We know you want your Princess to have the party of her dreams and your Superhero to have memories to last a lifetime, but who has time for all the planning? WE DO! Make your child’s next birthday party a memorable one! All of our party packages include one to two party hosts who will be responsible for entertainment, supplies to run the birthday party activities, juice, paper goods and time to open gifts. The party service is for ages 4-12, up to 12 children. Choose from the options listed below. Parties are for children only ‘cause kids are our specialty! Parties must be booked at least two weeks in advance. The party fee and deposit are due at the time of booking and are not refundable in the case of cancellation. Cake and Hot Dog/Pizza options are available for additional fees. Party request forms are available at the Willard Wood Park Center, 515 1st Street in Crete, which is where the parties are held. If you have any questions, please call Janel at (708)672-6969.